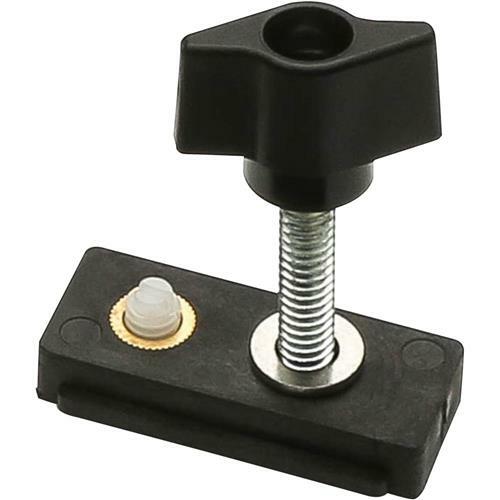 An accurate miter stop that locks into the T-Track for precise stop cuts and blind rabbetting. Works as an anchor for hold-downs and clamps along the miter slot. Fits standard (3/4" x 3/8") T-miter slots, ShopSmith, and General miter tracks.